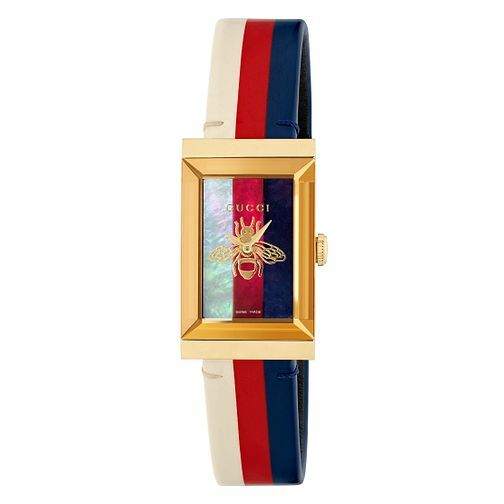 Make a style statement with this G-Frame ladies' Gucci timepiece. With a rectangular mother of pearl dial, this striped design features a sleek yellow gold plated two hand build set upon a co-ordinated bee. The yellow gold plated case back is engraved with the Gucci name and a cat design. The quintessential quirky white, red and blue stripes are carried onto the leather strap, making for a marvellous multi-colour watch.